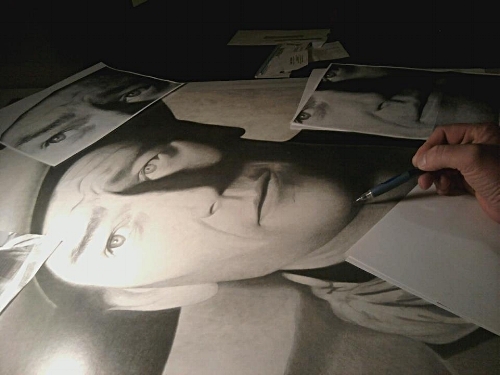 I am a graphite portrait artist. I enjoy drawing portaits of people and animals. I will draw anything, however. I have drawn boats and landscapes for people and on occasion I will work with people on a tattoo design. I am not a tattoo artist, but I can draw the design for you and point you in the direction of a skilled artist that can apply your tattoo. Most of my work is done on bristol board, sized 11″ x 14″. My medium of choice is HB graphite, by way of mechanical pencil. Please email a photo to: iainstone@hotmail.com for a quote. 11" x 14" Prints are now available for most pieces. Price for one print is $20 dollars + shipping.